In 2017, The Toledo Area Regional transit Authority attempted to get a new funding model approved by its nine principals – seven member communities, the TARTA board and the Lucas County Board of Commissioners. Had the mass transit authority gained that approval, the measure would have been placed on the county-wide ballot for approval by the voters. The unanimous approval was not forthcoming, primarily because it was felt that TARTA had not done enough to strategically change its mass transit concept. In 2018, TARTA has done just that – put together a plan that will dramatically alter its mass transit concept - expanding service, improving service, improving efficiency, introducing new programs and innovative technologies. It’s a plan that has been conceived after a lengthy public research study that examined not only what current and potential riders want and expect but also what a variety of public transit systems from around the nation are offering to their customers. In order to create a strategic plan that would win the approval of member communities and the voters come election time, TARTA teamed up with Hart Associates, the area marketing firm, and AECOM, a multinational engineering firm. The new strategic plan – Move Toledo – is an effort to respond to regional changes; to address problems identified with current services; to make it easier to use public transit; to identify adequate funding and to create efficiencies if operations. 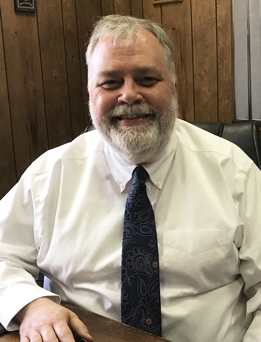 And now TARTA will be seeking approval once more from its membership in hopes of getting the plan on the ballot and before the voters in time for the forthcoming November election. The result of that study is a plan that includes advances in three key areas: core improvements – a makeover of current services and funding; technology – changes that will enhance the rider’s experience and alternative fuels to improve efficiency; new services – that will grant broader access and offer more personalized transportation options. The area of core improvements presents the immediate impact to riders in streamlining main-line services, updating the aging fleet, enhancing services for the elderly and for passengers with disabilities and creating a citizens committee. The key to the whole package, however, is funding – finding more funding with greater flexibility. Ultimately, a change in funding is the issue TARTA is waiting for member communities and the Board of Commissioners to approve. That change is critical, says CEO/General Manager James Gee, in order for TARTA to bring enhanced and improved services to more area customers. The proposed change would eliminate the property tax that provides 46 percent of TARTA’s funding and replace that source with a county-wide sales tax – an increase of .05 percent. There are three benefits to this change, says Gee. First, area property owners would not have to pay the 2.5 mill in taxes; second, much better transit service would be provided and, third, of the proposed .05 percent increase in sales tax, one-third of that amount would go back to the member communities for infrastructure improvements. Part of the reasoning behind switching from property tax to sales tax is the inflexibility the current system has in raising revenues. While the costs for TARTA have gone up over the years, revenues from property taxes haven’t. Now that the plan is complete, the city councils of the member communities – Maumee, Ottawa Hills, Rossford, Sylvania, Sylvania Township, Toledo and Waterville – along with TATRA’s board and the Lucas County Board of Commissioners, will vote on approval. If the vote is unanimous, then it’s up to the voters.